I’m not sure what it is about this annual refrain that gets L so annoyed. I think it’s very clever and it makes for a delightful little ear worm that stays with you all day (you’ll see). No apologies to L or The 5th Dimension. This is my anthem to spring, the song that heralds my favourite season – you guessed it – asparagus season. 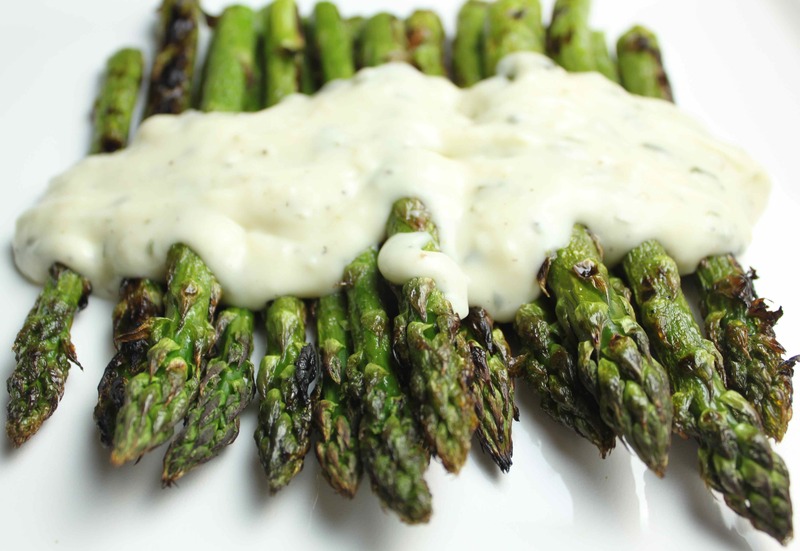 If, like my son, you’re not a fan, here’s a list of what you’re missing (according to Wikipedia): “Asparagus is low in calories, contains no cholesterol and is very low in sodium. It is also a good source of vitamin B6, calcium, magnesium and zinc, and a very good source of dietary fibre, protein, vitamin A, vitamin C, vitamin E, vitamin K, thiamin, riboflavin, rutin, niacin, folic acid, iron, phosphorus, potassium, copper, manganese and selenium.” This stuff is practically medicine. Heat a charcoal or gas grill to medium high. While the grill is heating make the sauce by melting the butter in a pan over medium heat. When the butter is melted, whisk in the flour and stir for a minute to cook off the floury taste. Slowly add the milk and whisk to break up any lumps. Add the chopped tarragon, salt and pepper to taste, and simmer for a few minutes to thicken. If the sauce is too thick, add more milk. 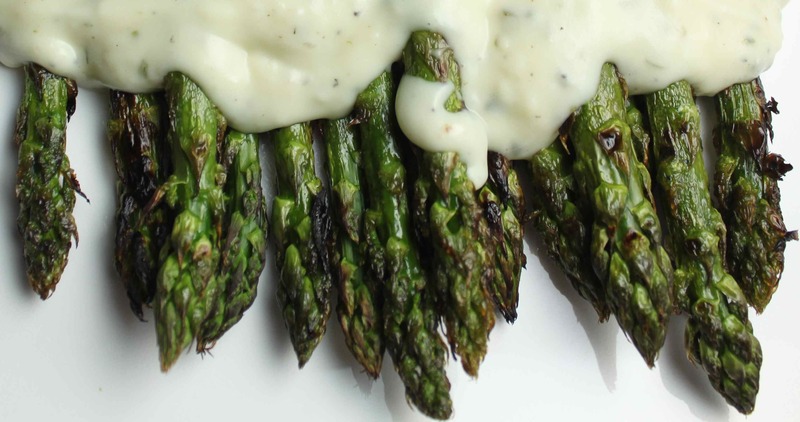 Bend the asparagus until it snaps (discard the tough bottom part), coat it with olive oil and season with salt and pepper. Carefully place on the grill. Cook without turning for a minute or two (depending on the heat of the grill) until a slight char develops. Turn and cook for another minute or two until the asparagus is tender. Serve with the butter sauce. Enjoy. This entry was posted in Condiments and Sauces, Sides, Vegetables and tagged asparagus, butter, flour, grilling, milk, recipe, tarragon. Bookmark the permalink.